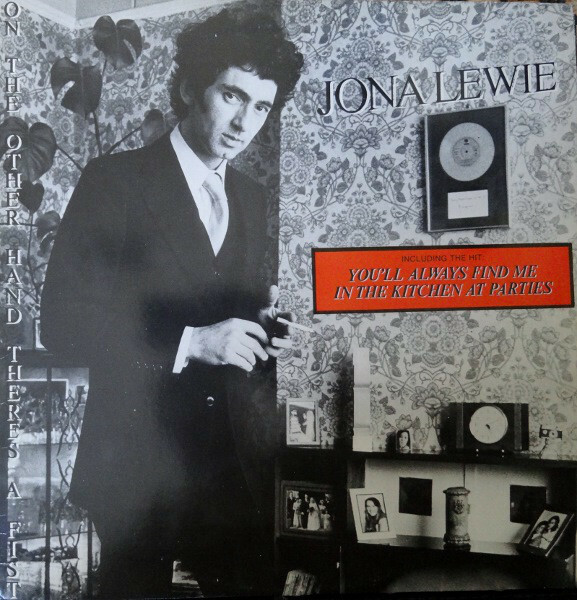 It was some time in 1981, I think, when my compatriot chasinvictoria [who had moved away to Atlanta for a bit] send me a tape letter with Jona Lewie among the many bits of music to enthuse over. The first song to reach my ears was “You’ll Always Find Me In The Kitchen At Parties” and it was love at first listen. I wasted no time in buying myself a copy in the Record City Warehouse import cutout bins [there are three magic words you never hear anymore…]. At the time, I may not have been aware that it was a Dutch pressing with substantial track differences. 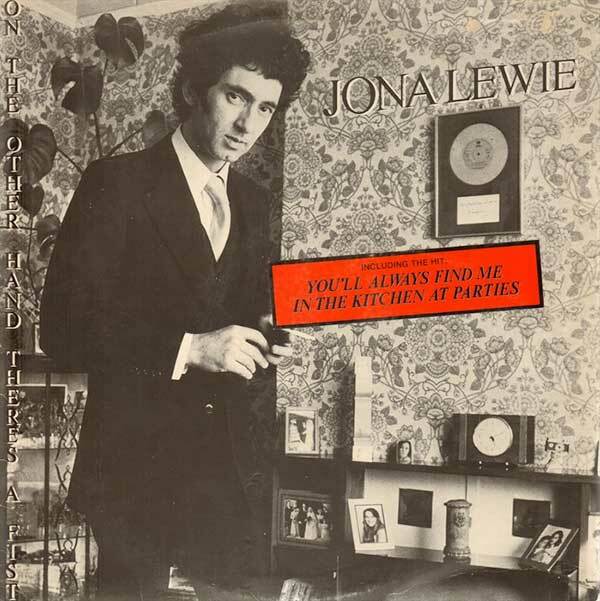 Even so, once “You’ll Always Find Me In The Kitchen At Parties” made a dent in the UK charts Stiff UK re-released the LP in 1979 in a thirteen track black vinyl pressing with yet another track order proffered. This time featuring the hit single in pole position and the exact same sticker used on the Netherlands edition trumpeting the fact. I don’t actually own one of these. The thing that stymies me right now, is that in reviewing all of these editions, [I own the yellow 1978, Dutch 1980 and 2007 DLX RM] I only just realized that my initial Dutch copy contains a song not on any of the other editions! “A Bit Higher.” Maybe I should gaze at all 31 editions on Discogs.com? I just may learn some new tricks 36 years into the game! It remained until I was in the Everyday Music store of Downtown Portland, combing over the bins for Mr. Ron Kane’s big birthday bash [a.k.a. Ron-Con] in 2007 that I saw the then-recent DLX RM of “Fist” which I greedily purchased. It being the only CD version I’d ever run across of the hallowed disc. Sure sure. There was that 1991 German reissue on Repertoire Records, but I never managed to snag a copy. We’ll gloss over it for our purposes here since time is tight. This was a fairly optimal edition of the album; missing only the track “A Bit Higher” [though I did not in fact notice that until this very day] but appended with a large swath of single A/B-sides of the period. Next: …What about the actual music? 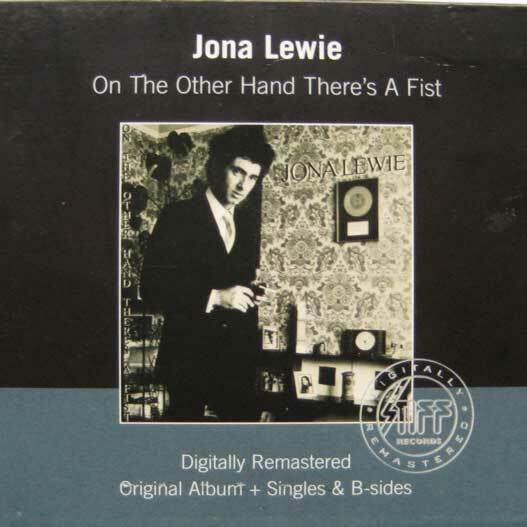 This entry was posted in A Young Person's Guide and tagged 1978, 1979, 1980, 2007, Colored Vinyl, DLX RM, Jona Lewie, Stiff Records. Bookmark the permalink. djjedredy – The mind boggles that such a cinematic and instrumental track was short-listed by Stiff as an A-side! It’s practically soundtrack or library music. I spent all of the 80s, 90s, and 00s looking for a copy of the hyper-scarce “Heart Skips Beat” until Mr. Kane sent me a Canadian LP a few years back. Now to actually listen to it! 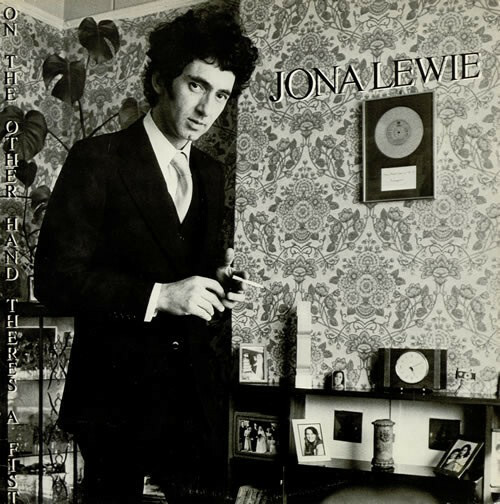 I also have the “Best of Jona Lewie” from Union Square with four more cuts from “Heart Skips Beat.” So I’ve heard the bulk of it, albeit in pieces. One of the best things ever released on STIFF! I have the original UK release…somewhere. …In The Kitchen…is a classic decade ending New Wave song. Echorich – I just hit the racks last night and it seems as if I may have pruned my 1980 Netherlands edition from the Record Cell, before I knew that it had a song [“A Bit Higher”] that was not on any of my other Lewie albums/CDs. Grrrrr. RAHB – That’s awfully decent of you, but let me check my discard bins and make double dog sure that I have actually sold it off and not just entertained the thought of doing so! I remember you getting your copy in Portland, but now of course I can’t remember properly where I got mine! For the review of the DLX/RM I said I thought I got it at Wax n Facts, but my notes say I bought it (or just entered it in the DB) on or around December 10, 2010 (for $9.94). I suspect now that we got it in Nashville a couple of months earlier when we met up there — probably Grimey’s then.